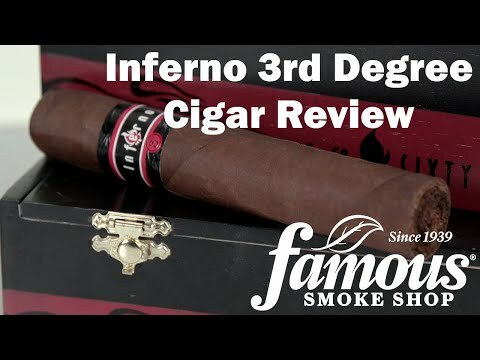 Inferno 3rd Degree Cigars are here to stoke the ember of our collective passion of cigars by lighting our taste buds on fire with an assault of complex flavors, and a blast of 4 alarm strength. This Oliva original cigar is an all Nicaraguan stogie featuring only premium triple-fermented tobaccos, all encased in an eye-opening Habano seed wrapper. The end result is a taste unfound in any corner of the cigar market today. Get your Inferno 3rd Degree today, and light up your down time.